Before setting out to use social media marketing to expand your Boca Raton company or brand, itâ€™s important to have a social media marketing strategy. 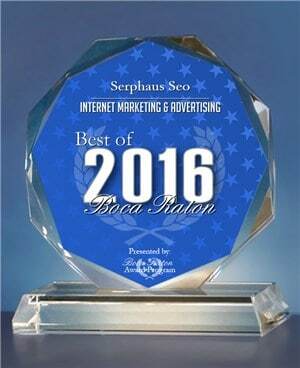 First, identify your goals as a Boca Raton business. Figure out exactly what you want to accomplish through social media. What are your needs as company? No matter what your individual goals are, all companies should focus on expanding their brand awareness and better interacting with their audience. After that, focus more on your brand and what you think is needed from social media marketing. 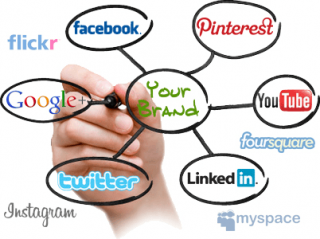 Why have you turned to social media to expand your brand? What customers are you trying to reach using social media? These are questions to consider while you focus on your goals. Once you nail down your goals, youâ€™ll want to set your objectives. Be specific about what you want to achieve, and set parameters. Do you want to increase sales by 30 percent? Do you want to gain 100 more likes on your Facebook page? Do you want to penetrate a new market? Along with this, give your company a deadline to achieve these goals. Without a deadline to work towards, youâ€™ll be lackadaisical in your work. â€œFail to plan, plan to failâ€ is a good motto to use here. Itâ€™s also important to be realistic with your goals, and be sure itâ€™s within your companies abilities to achieve them. 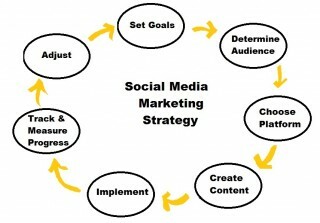 When utilizing social media marketing, you need to know your target audience. What demographic are you trying to reach? Who consumes your product most? Age, gender, income, interests, location and lifestyle are all traits companies and brands should learn about their audience before engaging them. If you donâ€™t know who you are targeting, your content will fall on deaf ears. Find out which social media sites your audience frequents the most. Itâ€™s great if you create a company Instagram, but if a good fraction of your audience is on Facebook, it will be difficult to reach them if your company isnâ€™t on Facebook as well. Itâ€™s helpful to be on more than one social media site, but youâ€™ll want to focus the most time and effort on the site that will reach the maximum number of consumers in your targeted audience. 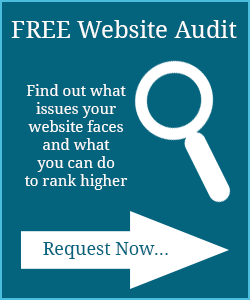 Now that you know your audience and on which site they will be reached by your brand, create a content strategy. What time of day is your customer most likely to be on social media? What days of the week bring the highest social media traffic? What style of content appeals to them the most? For example, if your brand is a newspaper and your target audience is adults who frequent Facebook mostly around their lunch hour, then post your important and most of your content around noon and 1 p.m. Are they looking for hard-hitting news stories or funny videos that are trending? Knowing this will help you decide exactly what type of content to post and how you should present it to them. You want to ensure your content uniquely appeals to them. Do you have a budget for your social media marketing? If you want to do most of your marketing through social media, itâ€™s important to come up with a budget to follow so you can figure out what types of marketing your company can afford. Maybe you want to focus only on organic social media marketing? Either way, youâ€™ll want to clarify this before you begin utilizing your social media marketing. How can SerpHaus SEO help you? SerpHaus SEOâ€™s Social Media Team identifies the trends, influences the followers, and gets your brand out there so that your business builds a rock-hard social existence online.